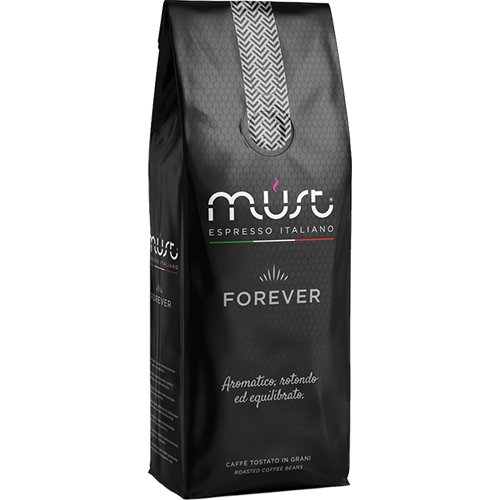 Must Forever coffee bean. An enveloping aroma, round and robust, creamy, scented with a captivating aroma where the sweet and sour notes are set against a rich taste of unsweetened cocoa. Blended flavours that leave a velvety taste in the mouth.